The Contra 16.5m is no more for sale.....it's gone !!!! the bahamas have a rep, at least in this part of the US, as having unreliable wind-may be fine if you live there, but who wants to travel, burn 10d vacation, spend 5 grand and kite a day, maybe two. now, you may have much more reliable wind than that, i am just talking about the perception. how many days a week are you really killing it? some times it's good some times it's bad. it would be a good idear to check the extended forcast if you are thinking of coming, and book you flights closer to the best wind conditions. the best wind here is in spring,we have trade winds most year round but they get up set by tropical storms in summer and cold frionts in winter but they are right there. we had 2 bad summers but the wind has come back for winter. I could guarantee wind for the month of nov dec and jan for sure. it's no hood river we don't get 30 kts evry day and it's not dr it dosent get windy at 1pm evry day for the day. if it's up in the morning it's going to be windy for the day. the wind tends to come up with the tide as well. the best thing about riding here is you can ride in wind in any direction. It sux here- stay away if you know whats good for you. I've got a 2006 10m RRD type wave2 for sale, In almost new condition. It comes with bar/lines/pump/bag, And an Active 5th line safety system. The bar can be rigged either as a 5th line (for safety) or it can be rigged for total depower. the color is white and black. With your weight I would looking for something like a 10-12m. Speak to AJ and he'll hook you up with something. I only have a 12m C kite which I would not suggest to any beginners. 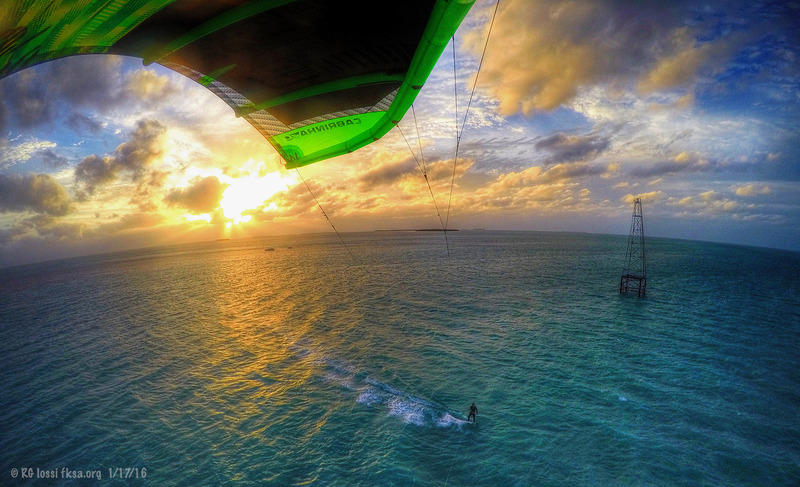 Anyway, welcome in the Bahamian kiteforum, come and say Hi next time you see us out. I have an 06 16m waroo im thinking of getting rid of, but with your weight prbly too much kite for you. toby Lunn is selling this stuff off and asked me to put it on the forum. Naish board bag-$70 used about 4 times. I am selling evrything together-$250,I paid about $500 after shipping and duty. if your interested in the gear contact aj and I will pass the message onto toby.